Double Dark Chocolate Chip Shortbread Cookies ~ they melt in your mouth with an explosion of deep rich chocolate that’ll make your eyelids flutter… to call it a cookie is to completely miss the point. VINTAGE VIEW ~ these Double Dark Chocolate Chip Shortbread Cookies are from TVFGI archives, way back from the winter of 2011. As part of a new series on the blog I’m reviving some of my favorite recipes that you may have missed over the years. I’m refreshing the photos and commentary but the recipe remains the same, the only change I made was to double it ~ these unusual cookies are a special treat! These are not your every day chocolate chip cookies, and I don’t want anybody here under false pretenses. There really is nothing else like these cookies ~ if you have not yet made this recipe then I can safely say you haven’t tasted anything like this before…it combines the buttery mouthfeel of shortbread with deep rich chocolate flavor…I used extra dark cocoa powder and dark chocolate chips, so this is about the richest chocolate you can bite into short of a truffle. Seriously. The flavor is bittersweet, which is a very different, more intense, more sophisticated chocolate experience, and if you’re not expecting it you might be thrown for a loop. The mouthfeel of the shortbread is different, too, it’s crumbly but not at all dry, and sticks to the roof of your mouth. Are you up for this? –– then proceed, if not, turn back now! 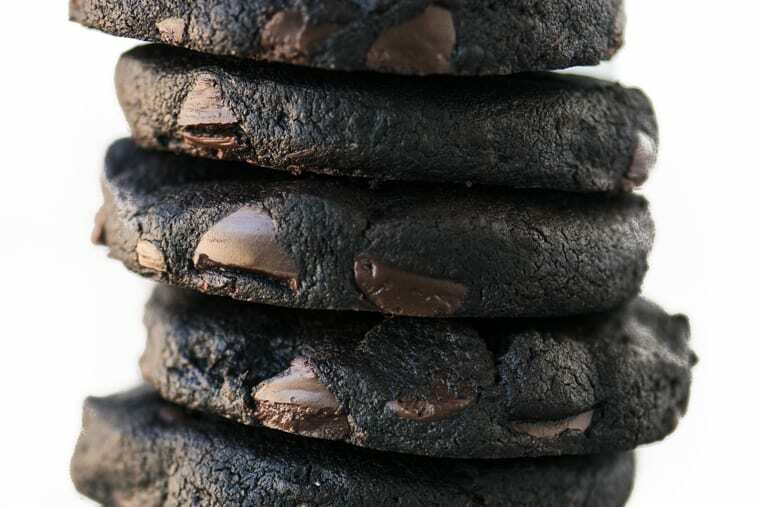 Yes, the inside of that cookie is so dark it’s basically black. In fact the cookie is so dark that it makes my bittersweet chocolate chips look like milk chocolate in comparison. That’s because I used Hershey’s Special Dark cocoa powder. It’s a specially formulated Dutch processed cocoa which, among other things, has a richer color and smoother flavor compared to regular cocoa powder. It’s what gives Oreo cookies their deep color. The dough stains your hands and the cocoa powder flies everywhere. But it’s a small price to pay for transcendent chocolate cookies. At least in my book. You can roll this dough into a log and slice and bake it, or roll it out and cut out your cookies, both ways work, but either way it needs to be chilled for several hours before slicing and baking since it’s a butter rich dough. Be sure to check out my other shortbread cookies, I’ve done a killer Peanut Butter Chocolate Chip version, a classic Chocolate Chip Shortbread, and an Dark Espresso Chocolate Chip, too! I used Hershey’s Special Dark Cocoa powder for these cookies—I love it but it can sometimes be hard to find in stores, so I usually buy it in bulk on Amazon, here. Dark and decadent chocolate chip shortbread cookies! You might try substituting walnuts for the chocolate chips. There’s no reason why you can’t use any cocoa powder or type of chocolate chip you like in these cookies, the color and flavor will vary, but they will still be delicious. 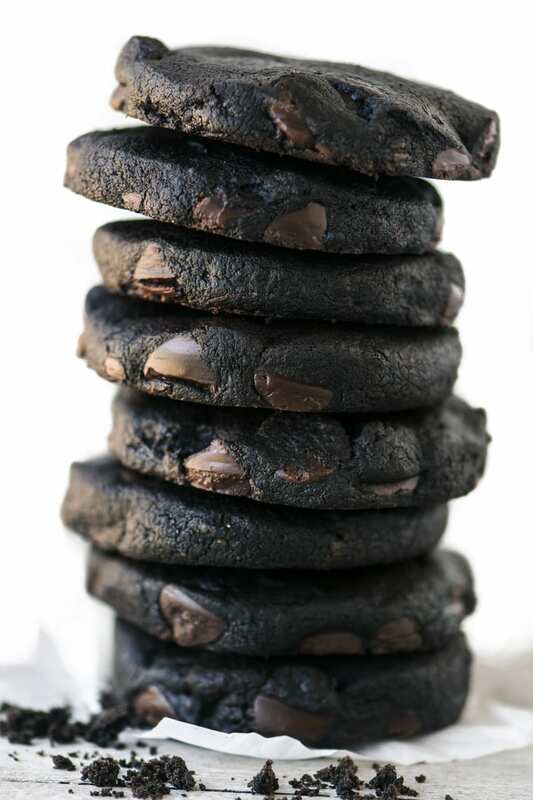 Don’t forget to pin these Double Dark Chocolate Chip Shortbread Cookies! As far as I know there is no substitute for the dark cocoa powder when you’re trying to get that intense dark chocolate color, Kat. I tried making these today and I’m not sure what went wrong. They are delicious and melt in the mouth, but they fall apart when I try and pick them up. 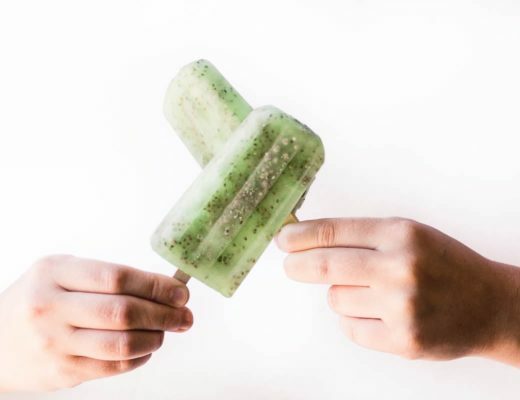 A couple of things come to mind…did you let them cool completely first? They should be nice and sturdy after they’ve cooled. Shortbread is supposed to fall apart and melt in your mouth, but not beforehand! These look delicious! They look like they held their shape well and was wondering if they might be good for cutout cookies? Do you think they would hold their shape if using a cookie cutter? They would hold their shape but I would use a plain round cutter, intricate shapes won’t work. And the chocolate chips can be an issue, getting in the way of the edge of the cutter, you might consider using small chips. I made these tonight and they came out perfectly! Exactly the richness I was looking for and much less buttery tasting in comparison to plain shortbreads (#Chocoholic!). I added chocolate chunks for added texture and next time will try adding macadamia nuts. These have become a new Fall/Winter baking season must have! Appreciate the recipe!!!! Thanks Jessica ~ I think these cookies are too intense for some, but for us true chocoholics they’re nirvana! This recipe makes a tasty cookie, but they are super crumbly. I’ve never made cookies before that turned out this crumbly. I think the recipe needs some tweaks to fix this problem. It’s possible that the dough didn’t get completely combined, meaning the butter and flour need to be really blended together.. Also some butters have less moisture than others, so a tiny splash of milk can help the dough come together. Hope this helps Shirley. I made these last night. While they were in the oven I read the comments. The issue with them being crumbly is that these need to go from ove to cool down to refrigerator and then freezer as quickly as possible with the least amount of handling. They are a butter cookie, and as such, need to be served cold. Especially this recipe. They handle really well after cold, where as they just desintigrate if handled warm. Overall, this is a grand cookie. I can’t eat just one. I was looking for a cookie that would pair well with several varieties of wine. Your cookie is a winner! Thank you! And I’d never thought about pairing them with wine, interesting! Hi there! I made these last night and they are DELICIOUS- not too sweet, deep dark chocolate flavor, just incredible. The only thing I felt was off was the texture- I love a harder shortbread cookie and these turned out pretty soft, even though I baked them for a little longer than directed. They were perfect otherwise, nice and crumbly. Are these normally just a softer cookie? My oven is not super consistent so it could have just been that too. I prefer my shortbread soft, so this recipe is probably skewed a little on the soft side, and the presence of chocolate chips makes them seem softer, too. I suggest cutting the dough a little thinner and baking a little longer for more of a crunch! But if your oven is not consistent, I would tackle that problem first. Thanks for the reply! I’ll try that next time. Even soft, though, these aren’t making it out of my house- delicious with a cup of coffee! Making these for a cookie exchange and I’m using Ghirardelli Peppermint Chunks instead of chocolate chips. So excited! Mmmmmm, let me know how it tastes! I made these today, swapping out all vanilla for a mixture of orange and vanilla extracts. Yummo! Set them out, turned around, and they were gone! Thanks for the delicious addition to my holiday recipes/cookie exchange. I love chocolate and orange together, thanks for the tip! What a lovely recipe. I used Castor Sugar (don’t know what that is called in America) which is between Confectioners Sugar and Granulated Sugar. Maybe it added a little more sweetness. Instead of Chocolate Chips I added chopped Hazelnuts. (Chocolate and Hazelnuts is a marriage made in heaven!!) Really delicious – Yum! Will be lovely as Christmas gifts. ?? That sounds really delicious Mary, and I, for one, would love to get them as a gift! If I make these again (don’t bake much anymore unless I am asked to take baking to an event) I’m going to make the “log” much skinnier, so the cookies are smaller in diameter. I can’t get these transferred without them breaking in half. Not sure how the serving will go at the wine walk tonight…I’m afraid they are all going to be broken in half. You had me at double chocolate! These look incredible! Lucky you, Kankana! I’m in the same boat, my husband loves milk chocolate…go figure! Love that you reposted this because it is new to me. These look like they’d live up to my deepest, DARKEST fantasies for dessert! YUM. Oh my God, these cookies look amazing and I am not even that much into chocolate. But I could easily devour 5 of these! It’s a great idea updating some of your old recipes, I’ve been following your blog for ages but I am sure I haven’t seen all you have. So glad you revived these. I know they will revive me…especially after scrolling through all those comments! You go girl! That is certainly dark chocolate, for sure. Indeed, I have had Dutch process chocolate shortbread before, but not with chips. I love the contrast in color that the chips provide! I’m curious to know how they affect the flavor. What gorgeous cookies! Nice work! Wow – these are the right cookies for me! 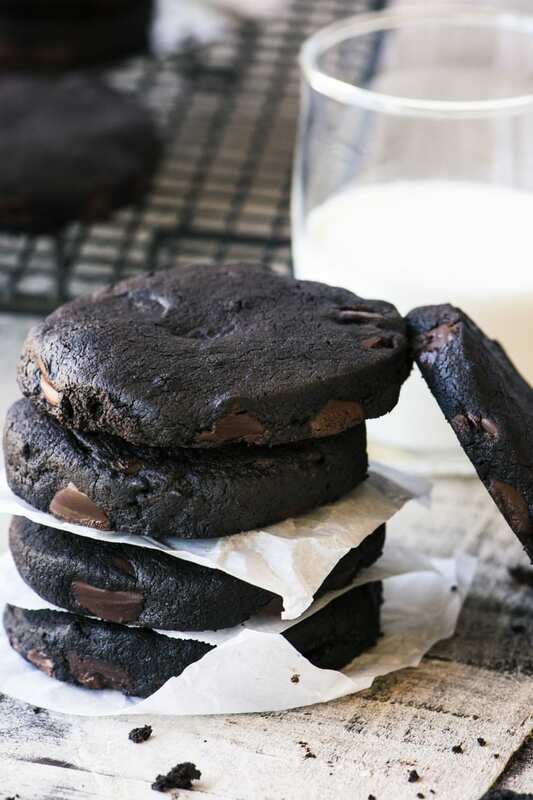 You can never have too much chocolate, especially in a gorgeous cookie like these. A double batch sounds about right! 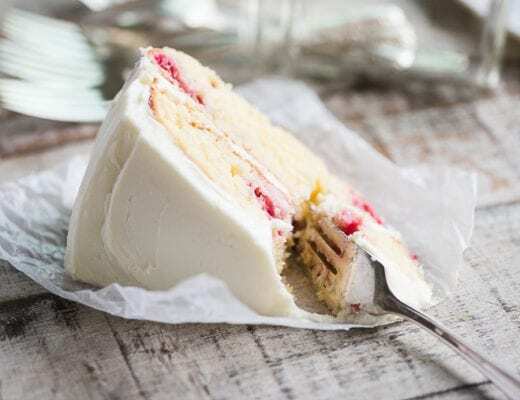 Sharing and pinning and wishing I had some now! Ok…before I even started to comment, I HAD to hit the PRINT button. Wow….I LOVE shortbread, and hubby LOVES chocolate. I know these are going to be happening….soon!! Double dark chocolate sounds too good not to test. Pinned and making very soon. These are making my eyes flutter, just thinking about them. Wow, they look/sound amazing!! your cookie arsenal is amazing, have made several diffenrent ones over the years, love this dark chocolatey gooey one! Thanks so much, that means a lot coming from you Cheri!! 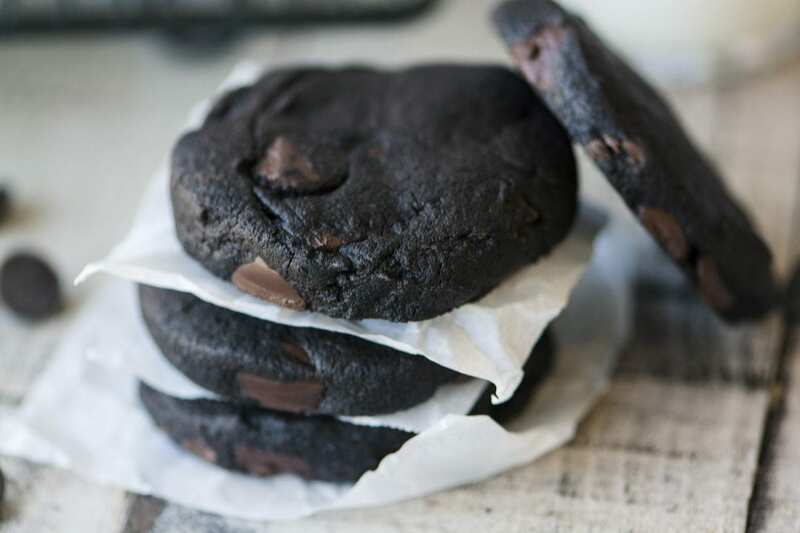 I’ve been craving chocolate all week and I totally need to splurge and make these cookies! These will be a big hit for the upcoming holiday season where cookies are a staple in our house, yum! I love using special dark cocoa powder! These cookies look so delicious! I love all things dark chocolate. I also love that they are shortbread and I can’t wait to try them! Isn’t the specialty dark cocoa something???? I reserve it for my most decadent desserts and it’s just like magic! Love how dark and sinister these cookies look! I bet they taste amazing! We make it every year at Christmas, my daughters won’t let me miss a year! Hi! Love your blog! I have a question about this recipe. Why is there only 3/4 c of flour? Is it a misprint? Your other shortbread cookies have more flour. Want to know before I make them. They look delicious and I love chocolate. Thanks! Hey Katherine ~ this is one of my earliest recipes and it made a very small amount of dough. I’ve just updated the recipe and doubled it, though. is there an update on this recipe? I’m working on it this week Amy! Absolutely loved these! New favourite. Had to use regular Dutched cocoa as extra dark cocoa is really hard to find where I live, but the flavour and texture were still great. Thanks! Thanks for the feedback, Shantell…I agree, getting the dough thoroughly mixed is important. I’m so glad you liked them! Ok I’m a baker at heart and thought that I would give this a try. Love chocolate but this has a powdery texture that crumbled. I followed the instructions and use high quality chocolate and butter. But it is something im not sure i would add to my cookie share. Will try using regular sugar then see about changing the Dark Coca to a Dutch process type to see if it changes the texture and taste. Will let ya know. This same thing happened to me when I tried them. Any tips? 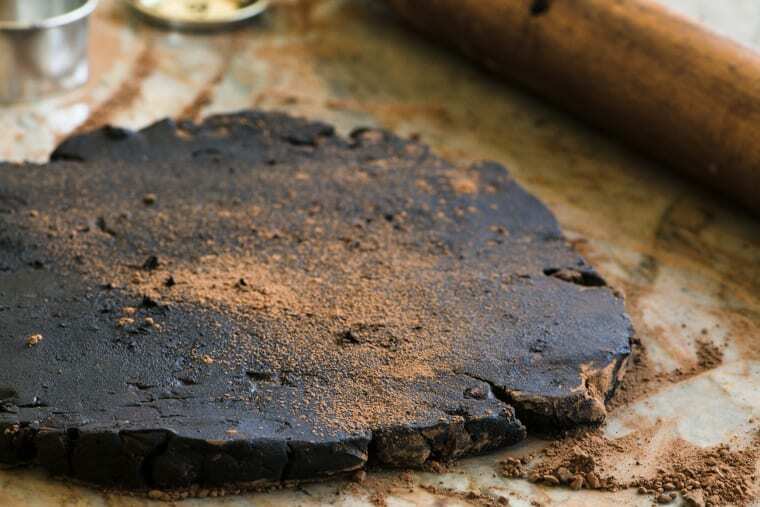 Did you know that by adding just a teaspoon of espresso powder you will enhance the flavor of the chocolate & make it even tastier! Make sure your butter is room temperature and you measure your flour accurately, Jodie, and the dough should come together fine. Hello Sue, I made these cookies last night and baked this morning. Sad to say that they fell apart when trying to cut. Also, they did not feel soft after done baking and were somewhat powdery. Any advise? I want to try again because I did like the flavor, just need to get rid of the powdery texture and the falling apart :/. Hi Christian — try replacing the confectioner’s sugar with regular sugar, that might help you get more of a texture that you like. I really wanted to like this recipe but unfortunately it didn’t work for me either. I used Hershey Special Dark cocoa, followed the recipe exactly and dough came together beautifully. After chilling overnight, it sliced perfectly with a as sharp knife then baked it. Although the cookies taste good the texture was not shortbread…but powdery. I may try it with granulated sugar and increase the flour slightly for structure. I made these yesterday. I added a 1/4 tsp coarse salt and I’m not sure it needed it. I couldn’t imagine a cookie without salt. But these seem like they’d be good without it. I loved them and crumbled one on top of vanilla icecream. Probably one of the best cookies I’ve ever had and will make them again. I’ve actually made these several times now. And they’re still really good. I’ve made them with generic brand cocoa and Rodelle and they’re good both ways. I’ve also tried with 2 TBSP granulated sugar added. I didn’t find it made much of a difference. The only thing I tried that wasn’t perfect was mini-chocolate chips. They’re better with full size ones. Because they’re not sweet you want that little bit of sweet in the chocolate chips. Our local coffee shop has these little disks of pure chocolate heaven. They place ONE in the saucer of a cafe’ latte’. I go there just for the cookie! Now I found this recipe and have made them!!! THANKYOU so much for the recipe!! I left out the chocolate chips. (Issues with dry batter may be the lack of executing the “sift and scoop” method thereby condensing too much flour in the measuring cup) Mine are perfect! I’m so very pleased and shall have to exercise much restraint!! ???? I just made a double batch of these and they are very powdery. What did I do wrong? May I know which dark chocolate chips you used? As I have issue cutting mine into slices. Thanks. The smaller your chips the easier it will be to slice, Yukiko — I don’t remember what brand I used in this particular recipe, sorry. Hello! I just made the dough. To give it more moisture, I added 2 tablespoons of cream cheese, softened. We’ll see if it works out for the cookies. Thanks for the new cookie idea! C.
Let us know how the cream cheese works out Carol! The cream cheese worked out great. I think I’ll up the surgar to 1/2 a cup next time and see if it balances out the bitterness of the chocolat next time. All in all, the cookies came out good! I am sorry to say that these were a complete fail for us. I had such high expectations for these cookies that I made a double recipe. I added some white chocolate chips to the chocolate chips. Sadly, the cookies were so bitter that my husband, who loves bitter chocolate, wouldn’t eat them. We ended up throwing them away. I was very careful with the recipe, so I guess these are very, very dark. Just a caveat; they may not be for every palate. I’m so sorry they didn’t work for you Hilda, I know the frustration of having high expectations for a recipe that doesn’t work out. I would suggest playing with the amount of sugar versus cocoa powder if you do happen to give them another try, that should solve the problem for you. Okay so these were pretty dry but otherwise very nice! They had great flavor! I tried making them again but this time i added maybe like 3-4 tablespoons of unsweetened apple sauce to try to add some moisture and they came out wonderful! I would recommend trying it with apple sauce! You don’t taste it all which is so nice! Yum! I tried these tonight after roaring success from the peanut butter shortbread! However, these chocolate ones came out much drier and powdery than he peanut butter, which was aptly melt-in-your-mouth texture. Is there any way i can introduce more moisture to make it less dry? Or how about replacing peanut butter with nutella in the peanut butter recipe, and changing 1/4 plain flour to cocoa powder? Do you think it’ll work? PS: I tried the peanut butter shortbread using cookie butter too and it was awesome! The cookie butter was much sweeter than peanut butter which made the shortbread of perfect sweetness for me, as i found the peanut butter ones a tad too bland. I love your sense of experimentation Yvonne! For the double dark cookies you could try playing with the amount of butter in this recipe, add a little more. And also maybe substitute regular sugar for the confectioner’s sugar. The cookie butter idea for the others sounds really interesting! Sure, I use them interchangeably in my shortbread cookies! Why 325 for these and 350 for the pb shortbread ones? This was an earlier recipe, and that’s the temp I used to use. Either will work, but I now prefer 350F. Do you think this recipe would hold up as a crust for a tart? I don’t think it would be a great tart crust, Kate, although I’ve never tried. The dough is so crumbly and delicate. I wouldn’t risk it, sorry! Do yourself a favor and make these gems! Perfect buttery flavor softens the strong dark chocolate flavor in a way that makes these addicting. I added sliced almonds instead of chocolate chips. HI there, I really want to make these but cannot find the special dark chocolate here. Is there a replacement you’d recommend? I have dutch cocoa and regular hershey’s cocoa. Will they work as a replacement? Thanks! Yes, go ahead and use regular cocoa powder, Chi, it will work just fine! Unfortunately I don’t think these will find their way out of the house, possibly not even the kitchen…!!! YUM!!! These are SERIOUSLY Amazing!!! Thank you so much for this delicious recipe!! I’m so happy they were a hit for you — I’m just about to start working on a batch for myself! I made these the same time as I made the peanut butter chocolate chip shortbread. The texture and enjoyability between the two are very similar (see my comments on the predecessor blog post for an idea of what the consistency is like). This double-dark chocolate version seems less rich and able to maintain its integrity a bit better as a final product probably because of the lack of additional oil from the peanut butter. It is still very delicate nonetheless. I removed them from the oven at 13 minutes seeing how the cookies were starting to “sizzle”. I didn’t want to risk burning them. I should add that, in both cases, I measured sifted flour and sugar. That is to say: I sifted directly into the measuring cups before leveling off. I wonder whether I would have achieved a stronger final product–one that lends itself to allow better handling and transportability–if I had sifted after measuring. This has a very nice, deep, rich chocolate flavor without the undesirable excessive sugariness. I used Valrhona 100% cacao powder and Guittard Akoma chips. 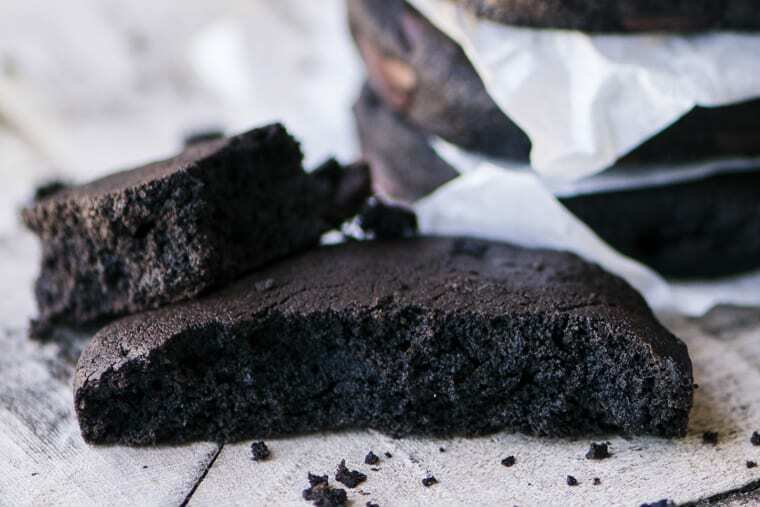 The way the soft, delicate crumbs fall apart in the mouth and how that transforms into the ensuing chocolatey creaminess makes for a luxurious experience. Is it possible to roll out the dough and cut shapes or make drop cookies instead? Definitely you can make drop cookies, my daughter likes to do them that way. And yes, you can make shapes, but the chocolate chips will get in the way of intricate shapes, so it’s best to use larger, more simple shapes. You can also roll the dough into a log and do slice and bake. Would these turn out just as good if I don’t add the cocoa. Or if I skip the cocoa, add almond instead of vanilla, and some crushed pecans…. I found this recipe on Pinterest over a year ago and made them for our annual Robbie Burns Scotch Tasting party. They were a hit and will be made again this week for the annual party this week-end. I do add a bit of espresso powder and use the mini semi-sweet chocolate chips as they are easier to cut through for me. Thank you. OMG I want to come! This looks almost decadent – yum yum. I love shortbread. Have a look at my coffee shortbread at magnoliaverandah.blogspot.com that I have just taken to the office. Two of my favorite things: chocolate and shortbread. Thanks for the recipe! I love this! 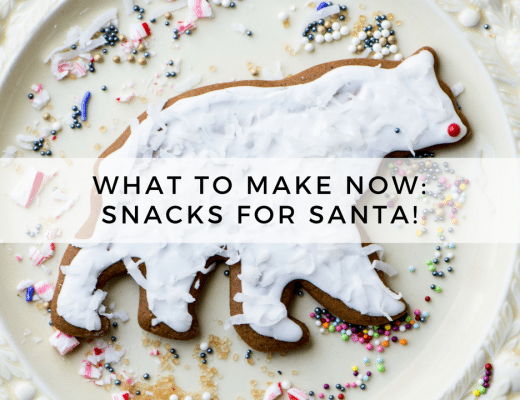 I made them with unsweetened because that’s what was on hand, but I am working on Christmas recipes, so chopped up Andes mints and used those…oh. My. Gosh. Love it! Wow, these look INCREDIBLE!! Just pinned them, can’t wait to try!! i added a touch of espresso powder and a pinch of kosher salt… the dough is totally addicting! i’m about to bake them right now.. although it doesn’t say at what temp to do this i guess i’ll go with 325 or 350.. thanks for the recipe! i can’t wait to try the PB choc one…. I got this recipe via Pinterest some time back and have modified them with to be made with coconut oil (since I’m one of those pesky vegans who has to mess with every recipe)… They are SO SO SO GOOD!! Wow, I’ll have to try that, thanks Tofu Mom! I love this recipe, but my cookies always end up being too soft after I take them out of the oven. Am I cutting them too thick? Cut them a little thinner, or cook a little longer, the recipe is pretty forgiving and you can enjoy shortbread on the crispier side, or on the softer side. Holy dark chocolate wow. Pinning now. Upon seeing these on Pinterest and thinking they looked delicious, I added them to my holiday cookie trio. Unfortunately, they were disappointing. They look pretty and similar to the pic, but the texture of the finished product is almost powdery it is so dry. Now I need to make another type because I don’t want to give these out. Bummer. This type of cookie has a shortbread texture, and it should have a melt in your mouth buttery, but crumbly, feel. Done, and delicious. I added half a tablespoon of espresso powder just because. Heavenly, not overly sweet, and gorgeous. Thanks. Espresso powder is a great addition! I have only ever had regular shortbread cookies and never attempted to make them myself. I am so excited about how good these turned out that I’m heading to the store now to get more butter. Thanks for the recipe! Just made these, and they are amazing, thanks for the recipe! Hi I just made these and I only had the Unsweetened Cocoa…that must really make a difference because they weren’t as yummy as they looked. I can imagine that using unsweetened coca powder wouldn’t be good, you really need that little bit of sweetening when it comes to chocolate! Made these today and they are great! I like the peanut butter chocolate chip ones even more. Thanks for the recipes. A pal brought these to our art co-op yesterday. These are some of the best cookies I have ever had, and my standards as a (very experienced) amateur baker are quite high! Thanks so much for sharing this recipe. They’re fabulous! I saw this cookie on pinterest too and made it for the Christmas Eve family dinner. Amazing! Everyone loved it! You aren’t kidding, they are very truffle-like! Just made these after seeing this on pinterest- I used chopped pecans in place of chocolate chips though since that’s what I had on hand and I’m not a fan of chocolate chips anyways. Came out delicious! I also just made little thumb print rounds since I couldn’t wait for the refrigeration step. I will definitely be making these again and again! Chopped pecans sound like a fabulous idea! I made these last night and my husband loved them! I just made another batch for Christmas. I melted the butter this time rather than using softened butter, and it was a lot easier to shape into a log and not as sticky! Oh my. so much baking still to do, but I may have to make room for these! I had butter out ready to make my go to sugar cookies but got sidetracked and made these instead. They are chilling in the fridge now. Can’t wait to taste them :-) Thanks for recipe. To the earlier anonymous comment—no, unfortunately you can’t cook these in a microwave, but you could use a toaster oven probably. Sorry! Anon—Shortbread cooks really quickly, and if your oven is pretty dependable they should be done in 12 minutes, 15 if you cut them on the thick side. The chocolate ones are so hard because there is no color cue. The good thing is that if you cook them a little less they will be softer, and if you cook them a little long, they will be crisper. I always err on the shorter cooking time. When you touch them lightly they’ll still be soft and they firm up as they cool. You can do one pan first to test the oven and time if you’re not rushed, Good luck! Making these right now. They smell delish. I’m finding it hard to tell whether they are done or not. Any tips? Oh man, they have such a great ???? ?, The smell is so amazing, and now the taste, YAMI! Hauntingly BEAUTIFUL~ This is by far the darkest and deepest shortbread i’ve ever seen! I wish I’d seen these earlier..am going to a cookie swap today and fell back on old standbys (still good but these look lovely and new to me!) OH well, I guess I’ll just have to find another excuse to make them! hey. a little question. i dont have an oven. can i put it in the microwave after removing it from the fridge? you’re not kidding about the dark part, are ya now?! these look amazing, sue! these and those flourless pb cookies are my crack. fabulous darling! I love shortbread…especially the melting in your mouth aspect of it! I am very interested to try a chocolate version! Yum! I’m glad I found your blog. I just used your recipe! These cookies are delicous! Double batch of dough chilling in the fridge right now. I went for 1/2 cup of chocolate chips per batch. My first baking experience with my 5 week old daughter in a sling. Feeling very accomplished! Though they still need to be baked…. Oh my, do these ever look amazing. I love shortbread, but I’ve never made a chocolate shortbread. That has to change soon! These must taste incredible! Could you please write the amount of chips you’ve used? 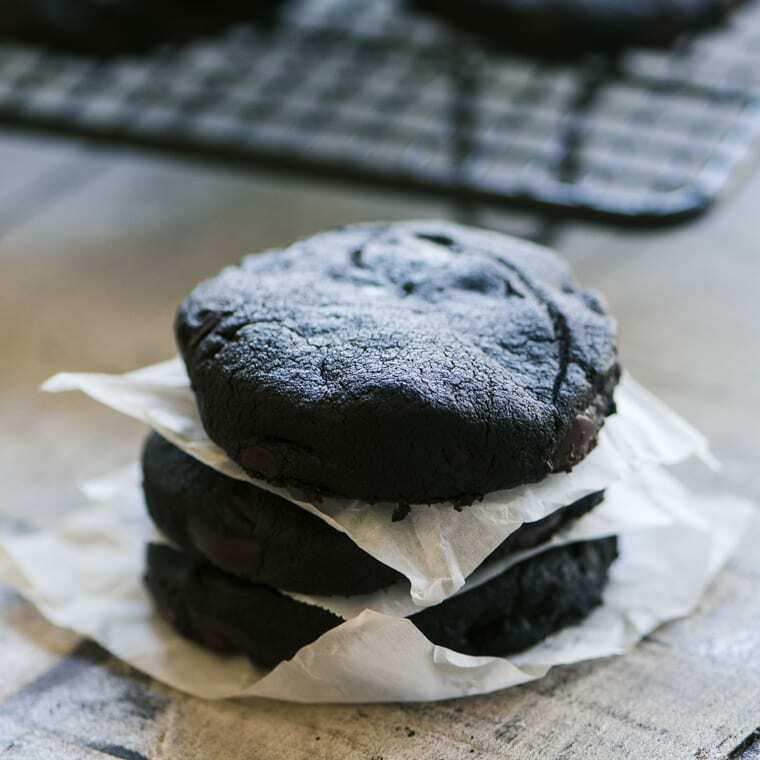 Wow, those are VERY dark chocolate cookies! They sound perfect to me. Even if I THOUGHT I was giving these away to other people…I’m pretty sure they wouldn’t end up leaving my apartment. They’d go straight into my belly! All that chocolate…how could you resist? You know me, Sue, I love those slice and bake shortbread cookies! But these are darker (and more dangerous?) than any I’ve seen in ages. How divine! Oh do they ever look yummy. I love that real chocolate flavor and shortbread cookies are always so rich and buttery. OOh those look sinfully good. I’m a sucker for chocolate. The richer the better I say! Glad you made something to keep for yourself! What’s the quantity on the chocolate chips? I think they are missing from the ingredient list..
Those look wonderful! I’ll have to make them soon! Those are some decadent looking cookies! This looks scrumptious, how delicious and how lucky your family are. These comments must be from the author’s friends because they mention that the cookies look good but omit any comment about the taste. Clearly “the friends” have not made them yet. I made them and I am not a friend. Let’s just say they will now be a regular in my holiday baking repertoire. I recommend using Valrhona cocoa powder. Fantastic recipe! As you say, there is something particularly special and appealing about receiving homemade goodies at Christmas. Your shortbread looks to be the perfect gift and we are very tempted to try this receipt out as we are sure that both we and our friends would find it irresistible.